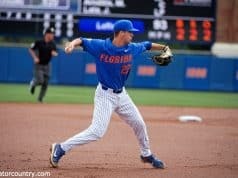 If you didn’t know who Jack Leftwich was prior to Tuesday night’s 6-1 win over FAU, you certainly do now. In his first start the freshman threw 5.1 innings, struck out five and retired 13 consecutive batters after allowing a leadoff single to start the game. He sat 91-93, topped out at 94 and had command of a slider that left FAU batters off balance and wailing at the plate. Leftwich, from TNXL Academy in Altamonte Springs, worked quickly, something the coaching staff has emphasized with all of their young pitchers and was only taken out in the fourth because of pitch count. O’Sullivan plans to use Leftwich out of the bullpen this weekend against Miami. 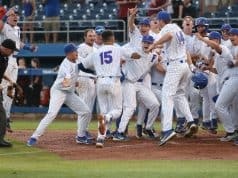 The Gators have just two errors through the first four games and had none on Tuesday night. 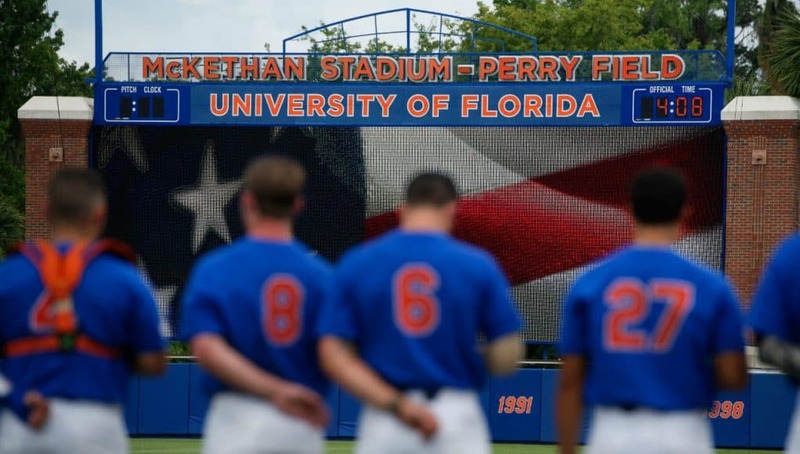 Florida got on the board in three of the first four innings. Jonathan India walked to start the second inning and stole second after a Keenan Bell strikeout. Wil Dalton continued his hot streak (6-14 on the season) with a RBI single to plate India. In the third inning Austin Langworthy doubled to right center and was brought home by Nelson Maldonado. India led the fourth inning off with a solo home run to right field. Dalton earned a one-out walk and moved to second when Blake Reese walked. The pair would score when Brady McConnell reached on a throwing error, increasing the lead to 4-0. Leftwich worked cleanly into the fifth inning before giving up a one out walk to Eric Rivera and a double to David Miranda. That brought Leftwich to his pitch count and brought in Andrew Baker. The sophomore lefty gave up a walk to load the bases and allowed one run to score before getting out of the inning. 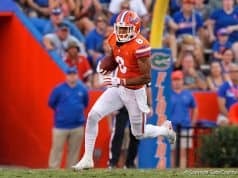 Baker, Tommy Mace and Michael Byrne finished out the game for the Gators, who moved to 4-0 on the season with a Wednesday night game against Bethune-Cookman at home.